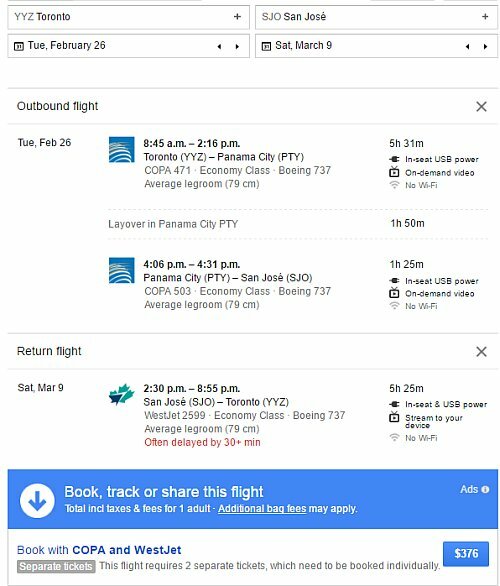 COPA Airlines has dropped the price of their flights from Toronto to San Jose, Costa Rica down to $302 CAD roundtrip including taxes. There are some dry season dates available. 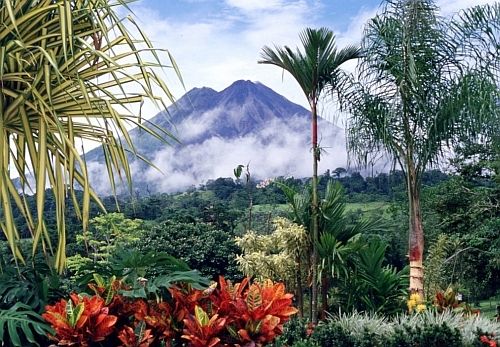 Update 4/19 - Flights from Toronto to San Jose, Costa Rica are available again for $309 CAD roundtrip including taxes with some dry season dates available. NOTE: This involves booking 2 separate one way flights on unrelated airlines. - Google Flights will instruct you on how to book each of the one way flights, separately. You should make sure that both flights are available before booking either one.